Mansfield, 5 vs. Bishop Feehan, 2 – Final – Junior Kevin Dow allowed just two runs in five innings of work, striking out five to lead the Hornets to their sixth straight win. Senior Matt Farragher (3-for-4, run) delivered the biggest hit of the game, knocking in three runs with a bases clearing double in the third inning. Taunton, 3 vs. New Bedford, 2 – Final (9 inn.) – Taunton sophomore Jack Moynihan drove in the game-winning to hand the Tigers a walk-off win over New Bedford. Moynihan launched a double to bring in senior Matt Machado for the game-winning run. Machado and Tyler Medeiros each knocked in a run in the first inning to take a 2-0 lead before New Bedford tied the game with two runs in the sixth. Danny Keogh earned the win, tossing three scoreless innings in relief with just one hit allowed, no walks and two strikeouts. Owen O’Gara went six innings, striking out five with two earned runs allowed on one hit. Stoughton, 10 @ Brockton, 0 – Final – Alessandra Loffredo was a single shy of the cycle for the Black Knights who totaled 11 hits on the day. Gina Carafa tossed a three-hit shutout, striking out five to get the win. Megan Eosco drove in the winning run with a first inning double and Jordan Lyons and Bri Ferrandiz each had a pair of hits for Stoughton. Mansfield, 6 vs. Barnstable, 11 – Final – Mansfield trailed by just two at halftime, down 5-3 to the Red Raiders but couldn’t rally. Cullen Murphy led the Hornets’ offense with five points, scoring twice with three assists. Sam O’Connell, Joe Cox and Brad Grant each scored once and had an assist and Danny DeGirolamo scored once. Tommy Donnelly had a strong defensive performance in front of goalie Sean Powers (19 saves). Oliver Ames, 13 vs. Norton, 3 – Final – Eight different players found the back of the net as Oliver Ames cruised to a non-league win at home over Norton. Olivia Piazza led the charge with four goals while Sarah Stevens and Sofia Masciarelli each netted a pair of goals. Oliver Ames, 5 @ Brockton, 0 – Final – Oliver Ames picked up a non-league win on the road, sweeping neighboring Brockton. Sarah Leger won 6-2, 6-0 at first singles, Claudia Ferrara won 7-6 (7-4), 3-6, 12-10 at second singles and Maura Kiernan notched a 6-3, 6-3 win at third singles. OA had two strong performances in doubles, with Tori Wyman and Tate Hadges earning a 6-0, 6-3 win at first doubles and Kristin Bloumbas and Olivia Groebe prevailing 6-3, 6-0 at second doubles. Taunton, 3 @ Durfee, 2 – Final – Taunton rallied from a two-game deficit to beat Durfee in five (16-25, 23-25, 29-27, 25-21, 15-9). Gage Kingman had a big day for the Tigers with 11 digs, nine kills and one ace and Mike Fernandez had seven kills and four blocks. THS coach Toby Chaperon said Jason Khang and Alex Tavares both provided the Tigers with a spark. 1st Quarter: (CS) Cardinal Spellman touchdown, XP good; (F) John Cronin 24 yard field goal. 2nd Quarter: (CS) Spellman 35 yard touchdown, XP good; (F) Mark Clagg 15 yard pass to Trey Guerrini, J. Cronin XP good. 3rd Quarter: (F) M. Clagg 6 yard pass to Jamaine Few, XP good; (F) Mike Henri 65 yard rush, J. Cronin XP good. 4th Quarter: (F) M. Clagg 17 yard pass to T. Guerrini, J. Cronin XP good; (CS) Cardinal Spellman touchdown, XP failed. North Attleboro, 2 @ Attleboro, 2 – Final – The game ended in a 2-2 draw for MIAA purposes but North Attleboro came away with the win on penalty kicks to win the Leach & Garner Cup. Attleboro, 0 @ North Attleboro, 4 – Final – North Attleboro scored twice in each half to capture the Blue & Red Cup. Haley Guertin set up both first half goals with Emily Schromm opening the scoring and Emma Gaulin doubling the lead before the break. Ashlyn Gaulin made it 3-0 on an assist from Felicity Monfils while Leah Jette capped the score at 4-0. 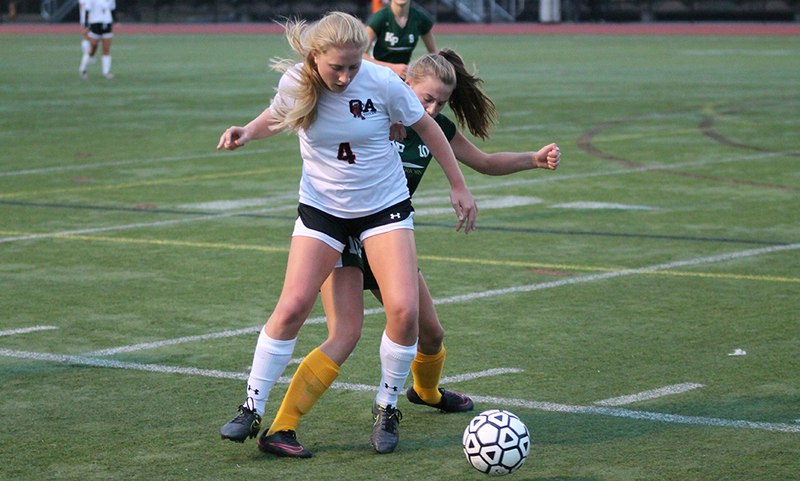 Oliver Ames, 1 @ Brockton, 0 – Final – Kiana Lozzi set up Tori Wyman for the game-winning goal in the second half to lift OA to its 14th win on the season. Regan Benton had a strong game in goal for the shutout for OA. Stoughton, 5 vs. Pembroke, 0 – Final – Julia Russell, Olivia Schlehuber, Kelli Joyce, Kaylee Ferreira and Mia Russell each scored once as Stoughton qualified for the state tournament with the win. 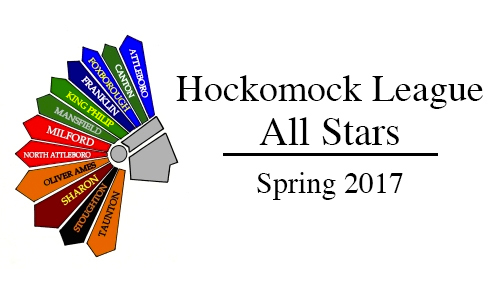 Hockomock League Championships – Click here for full results and photo galleries.